When is a dock more than a dock? 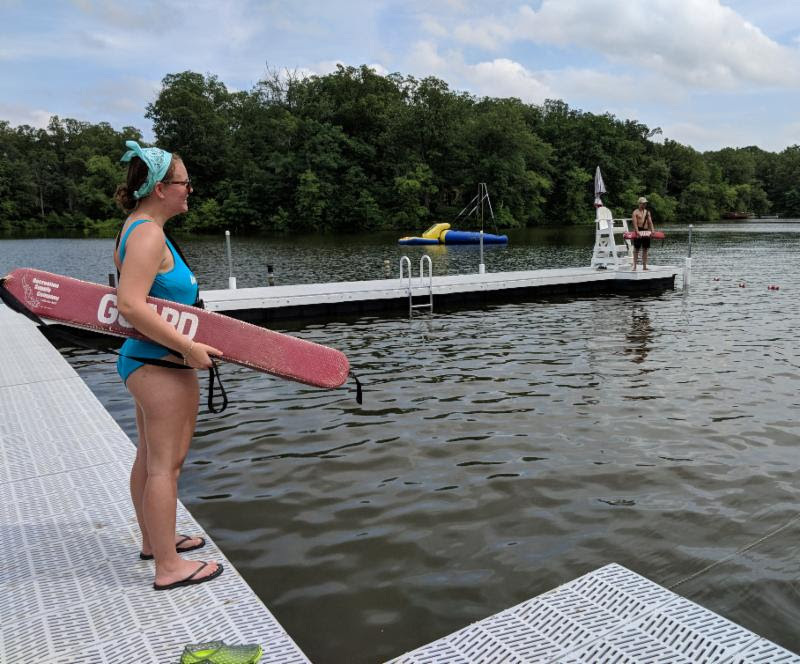 Over the last 12 months, all three docks on the “big lake” at DuBois Center have been replaced – the Oak Lodge dock, the boating dock and finally the swimming dock. When is a dock more than a dock? When it’s a free choice activity during high school camp! Last week over a dozen teens – and Rev. John Holst, their chaplain for the week – chose dock construction over a myriad of other activities. With a lot of planning and many willing hands, the team completed the project in record time. 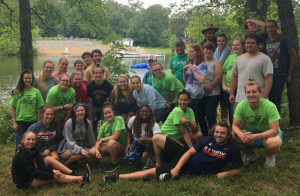 The high school campers wanted to give back and they definitely did. 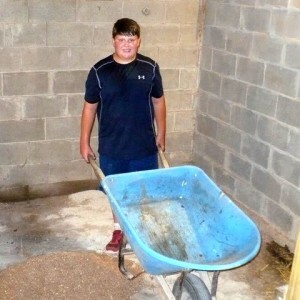 This week campers of all ages are enjoying the fruits of those labors. 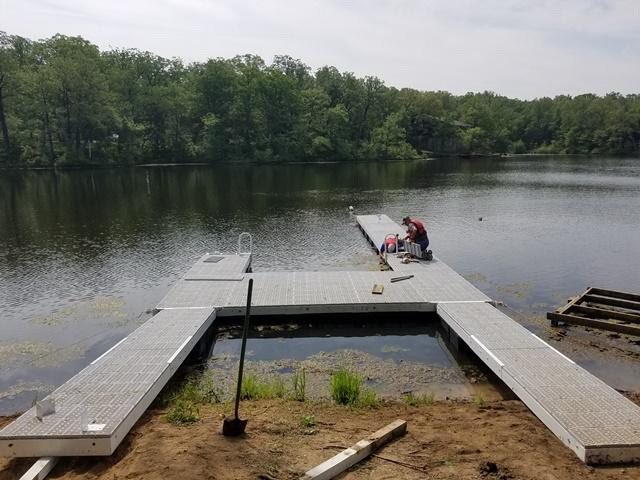 A special thanks to two volunteers – Slick (Marcus Vaughan) and Bullseye (Daniel Schmidt) for their above and beyond commitment to the dock’s completion. July is a great month to experience DuBois Center! Many sessions are full, but not all. There are openings in each of the weeks listed below. 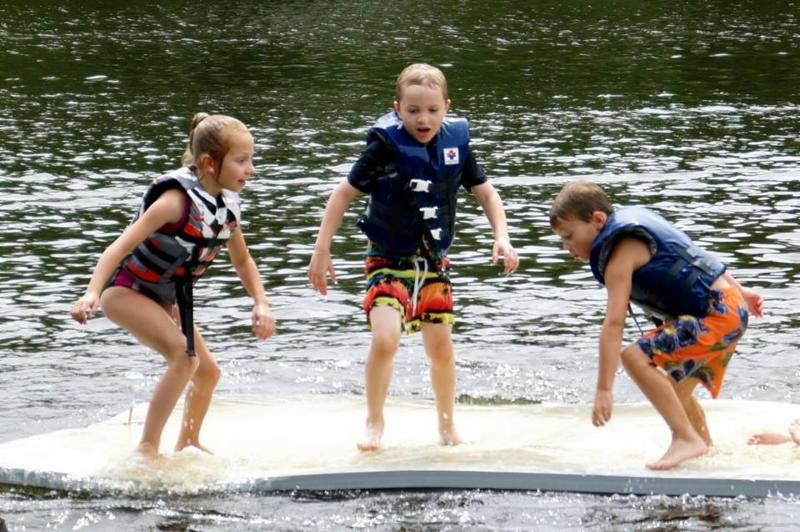 Check out great pics from the first weeks of camp at DuBois Center’s Facebook page. Recruit a friend new to DuBois Center and SAVE! Click here to register online or contact DuBois Center at dcinfo@DuBoisCenter.org or 618-787-2202 to receive a brochure. NOTE: Grades listed below are the grades completed. It was a whirlwind of activity as volunteers from St. Paul UCC in Belleville, Christ UCC in Dupo and other friends of DuBois Center descended the third week of May. Braving unseasonably warm weather, they tackled a variety of projects around camp – at the boat dock, office, beach house, rustic cabins and beyond. Their efforts have already had a significant impact on the quality of the camping experiences we provide. We have a new boat dock! A small crew deciphered cryptic instructions, assembled the modular pieces and secured them in place – often finding creative approaches to challenges. The south side of the office was overhauled. 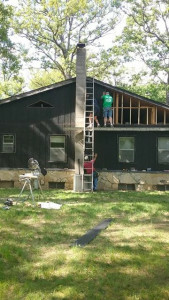 The siding was removed and replaced, and the garage wall was re-framed and the foundation upgraded. When this team opened the section of the wall by the ventilation fan, they discovered FIVE FEET of dried grass, branches and feathers. The massive nesting area was removed and efforts were made to critter-proof the opening. The beach house also underwent a major overhaul. The walls were painted inside and out, and the pipe-and-shower-curtain changing partitions were replaced with full-length wooden dividers and doors. 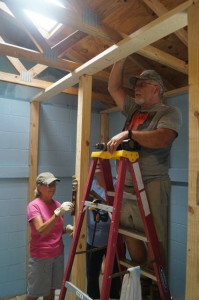 In all ten cabins in the Rustic Village, the electrical wiring was inspected and upgraded, and the ceiling fans and lights replaced with more efficient, more effective, lower profile fixtures. In the craft area, railings were super-sanded and painted, and supplies were sorted and organized. MANY THANKS to the volunteers who dedicated their week to making these incredible improvements at DuBois Center! 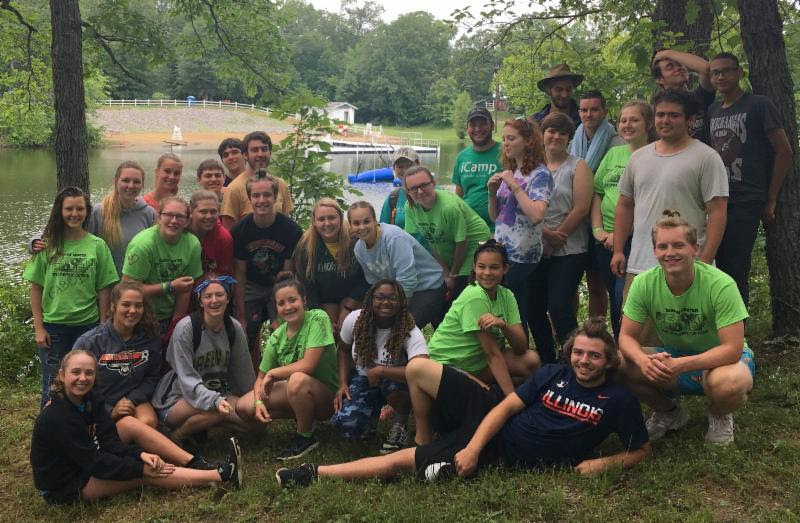 Rainbow Camp is a day filed with activities and fun, where everyone is recognized as a child of God. 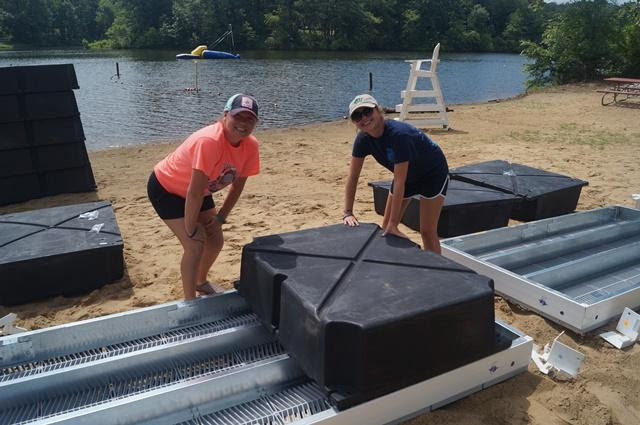 Come play in the water, take aim with archery, try your hand at crafts, or just take in the outdoors from horseback or pontoon. We have activities for all ages. We will gather on Sat, Aug 18 from 9 am to 7 pm, at DuBois Center. Rainbow Camp is for lesbian, gay, bisexual, transgender & queer singles, couples and families. Straight allies are welcome too. If there are at least 15 people interested, we can stay Friday night as a group at Hickory Lodge. If you want to register for just the day, select Rainbow Camp. 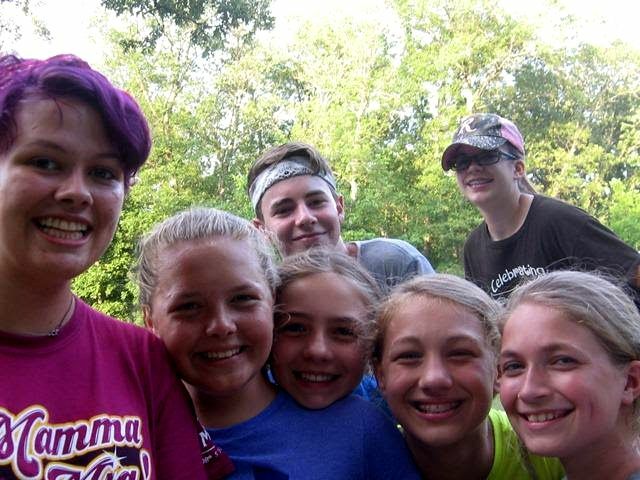 If you want to stay Friday night and attend camp the next day, select Rainbow Camp Overnight. Register now to get the early bird rates. See this flyer for more details. Click here if you’re ready to register. Got questions? Contact ISC Pride at iscpride@iscucc.org. 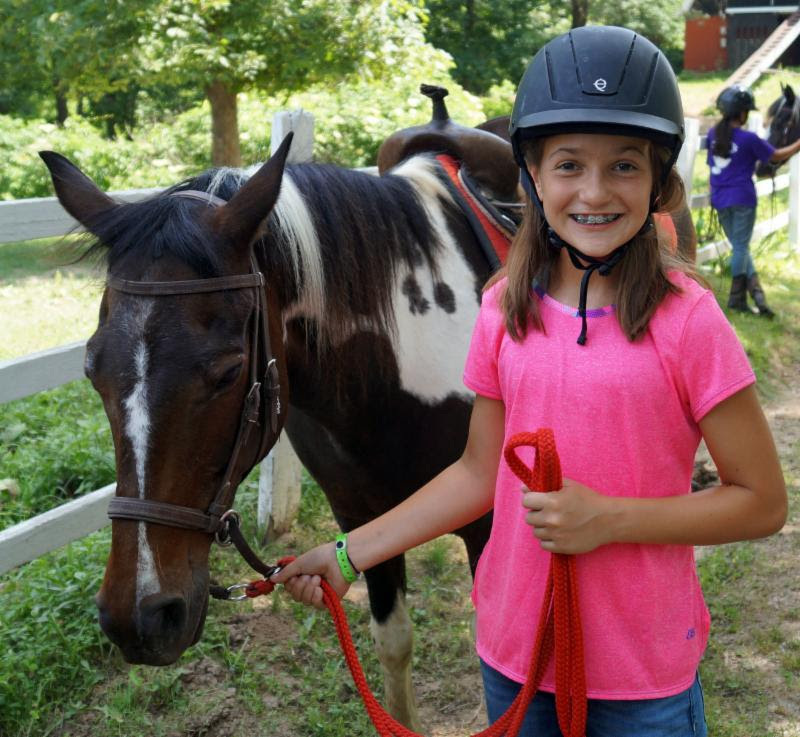 Summer camp at DuBois Center is in full swing! 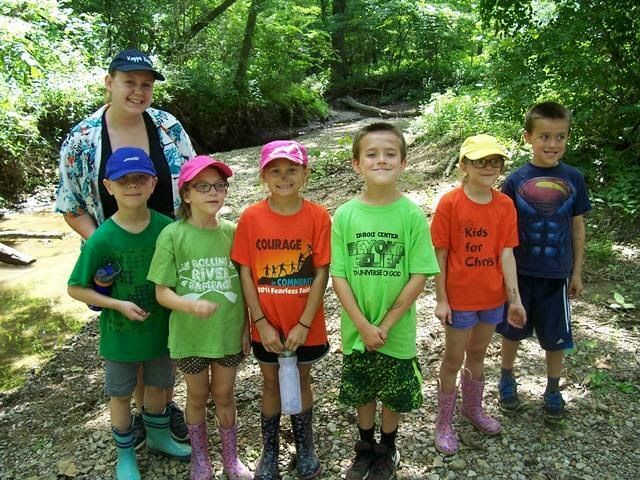 Throughout June and July scores of enthusiastic campers, hopeful volunteers and dedicated staff members will journey together and embrace God’s creation. They will dig into scripture, build amazing relationships and have loads of fun! 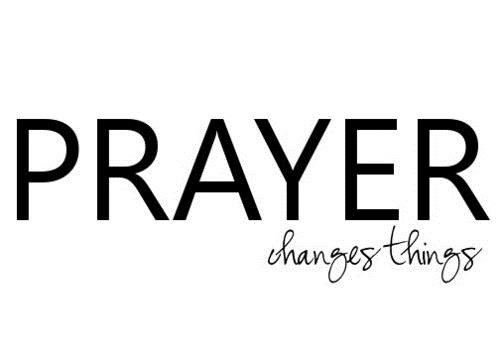 Please keep these individuals and God’s ministry through DuBois Center in your thoughts and prayers each day. 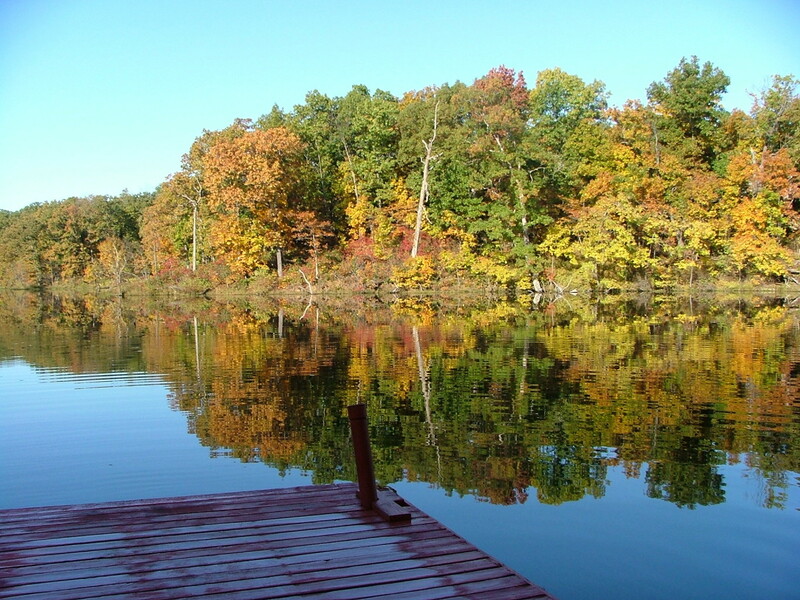 July is a great month to experience a summer adventure at DuBois Center! Many sessions are full, but it’s not too late. There are openings in each of the following sessions in July. Recruit a friend new to DuBois Center and SAVE! Check out great pics from the first week of camp at DuBois’ Facebook page. Click here to register online or contact DuBois Center at dcinfo@DuBoisCenter.orgor 618-787-2202 to receive a brochure. 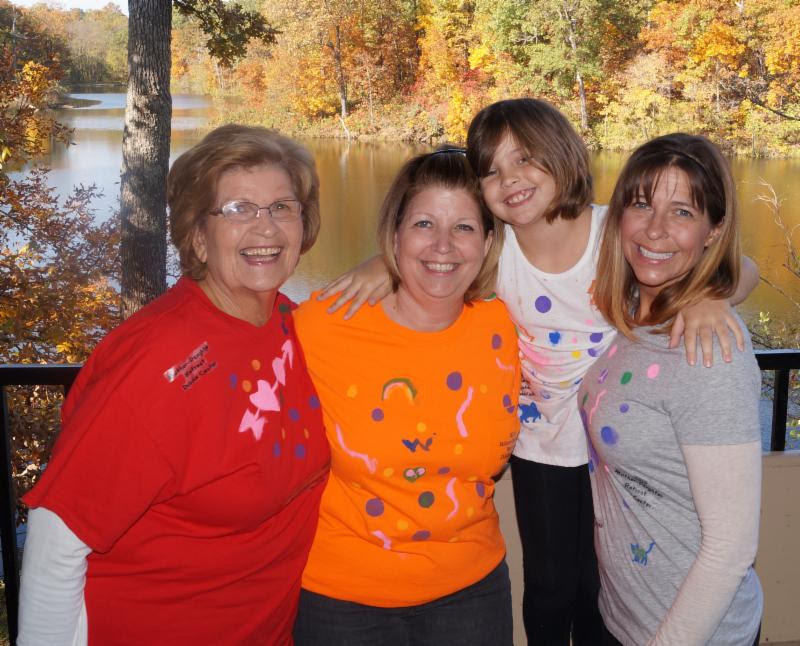 Just 120 days and counting to the annual Mother & Daughter Retreat at DuBois Center. Summer is heating up, so what better time to dream about sweater weather and the important girls and women in your life?! Enjoy a playful, faith-based weekend together, one packed with engaging activities, inspiring God times, meals without cooking and wonderful fellowship. All ages are welcome, but most activities are geared for girls and women age six and older. SAVE THE DATE! Registration opens July 10. Space is limited to 50. …and all the digital cameras you donated! A couple months ago we asked for donations of small, point and shoot cameras – the ones that were pushed to the back of the closet when you upgraded your phone. 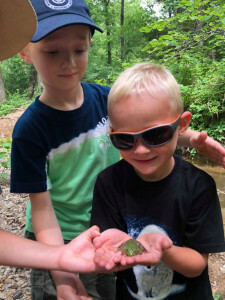 Your trash; our treasure – these gifts are now being used by our camp “family groups.” Each has a camera and is encouraged to take pictures of their adventures throughout the week. They captured everything from cook-outs to barn chores, new friends to creek walks. Here are some of our favorites from week #1. Camera donations are still being accepted. For more information contact DuBois Center at dcinfo@DuBoisCenter.org or 618-787-2202. 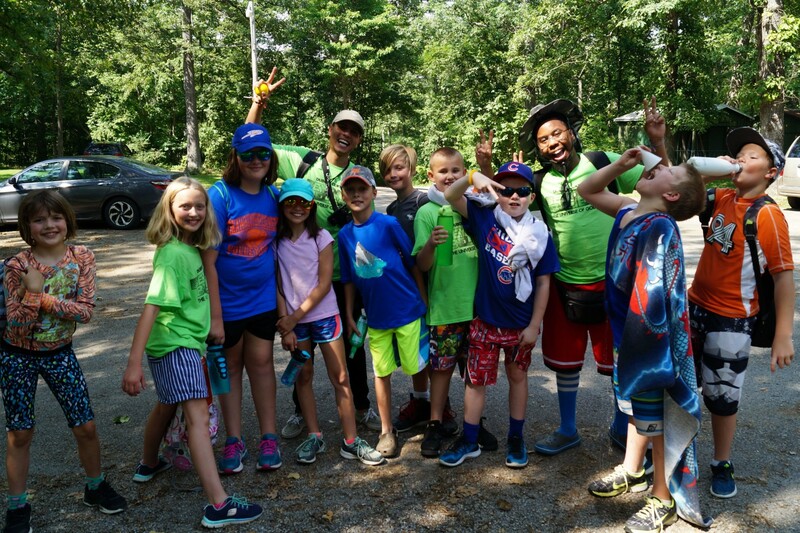 It’s Not Too Late – Register for Camp! Summer vacation is a great time to get outside, unplug and make new friends face-to-face. Give your kids the gift of joyful, low-tech, faith-filled fun this summer! 2018 Summer Adventures at DuBois Center are filling quickly – some already have waiting lists! However, there are still lots of great options available, just don’t wait too long. Pick up a brochure in your church office, click here to view the online version or contact DuBois Center to have one mailed to you – dcinfo@DuBoisCenter.org or 618-787-2202. Yes! 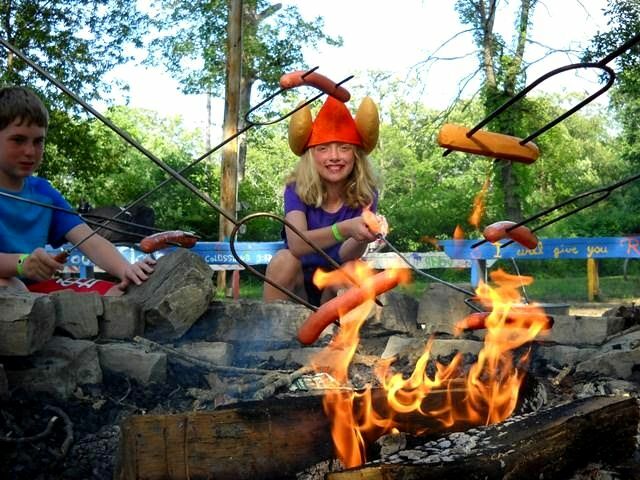 We are in the midst of summer camp, but it’s never too early to start planning for fall. We have a great line-up of events once the sunscreen and beach towels are packed away.